Way overdue haul! I have purchased all these towards the ends of 2016. I am currently switching the majority of my skincare to asian brands - mainly Korean skincare products. I mean they are designed for asian skin after all. I have been experiencing bad skin through out the whole of 2016 and I never had a day of pretty skin. 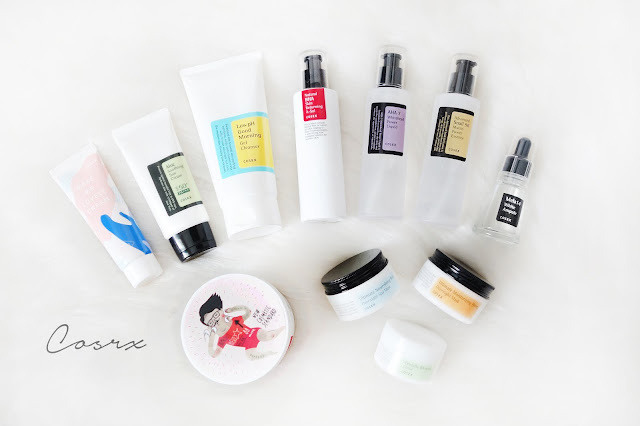 After just a couple of months of using Korean skincare, my skin calmed down and I experienced lesser issues. I still have clogged pores, white/blackheads, pigmentation, and uneven skin tone. 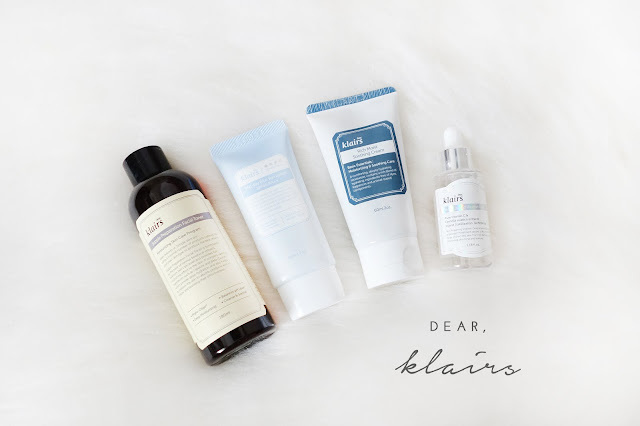 These are just issues that takes time and trial and error to find the product that works for your skin. A little on my skin type. I have an oily t-zone and other parts of my face is pretty much dry. However it is only dry outside and apparently it is pretty oily underneath. This is really problematic when it comes to skincare as products that are too rich can cause breakouts/clogged pores; on the other hand, if not enough hydration has been given to the skin, it breaks out too. 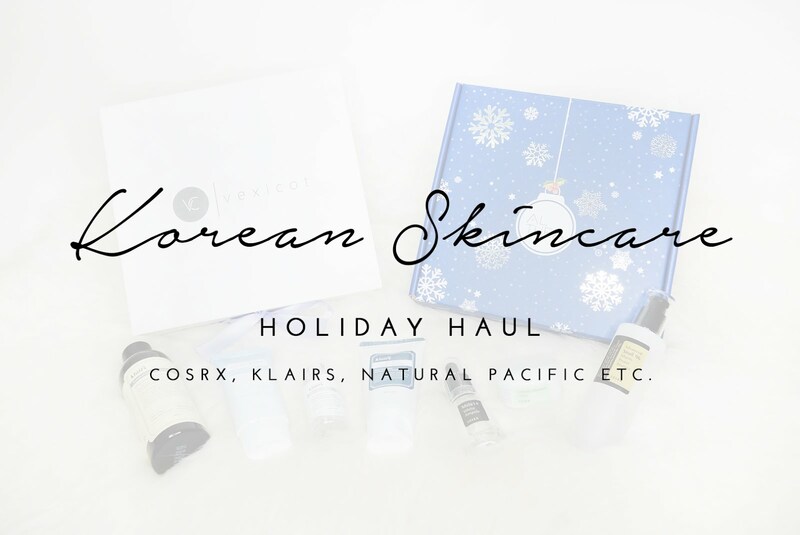 I have purchased a few Korean skincare from Klairs, Cosrx, It's Skin, Skin Food, Natural Republic. Let's start with Klairs. I purchased all these from Vexicot in Singapore. A calming and soothing toner which balances the skins PH level. 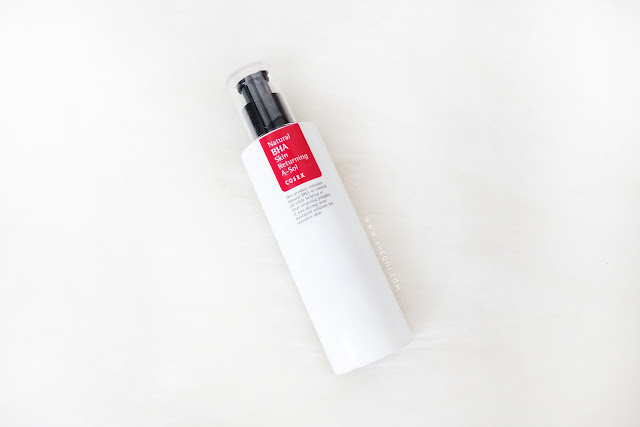 Other than pore tightening, this toner contains hydrating ingredients to restore skin hydration. It also contains amino acids and other gentle ingredients that allow moisture to absorb into the skin and provide nourishment. Suitable for all skin types. Use twice daily, morning and night. My Verdict - I have been loving this toner! I wasn't use to the texture at first as most of the toners I have been using are very watery. 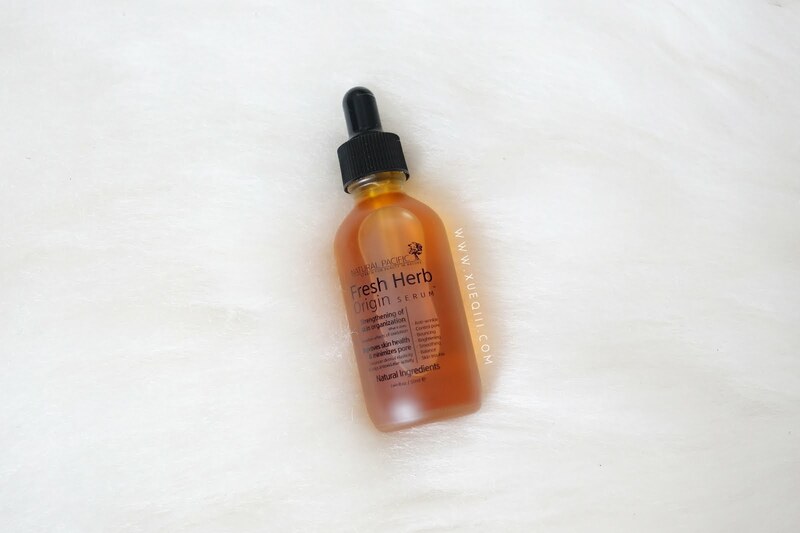 This has a thicker consistency and hydrates my skin so well. Definitely will be repurchasing this once I run out. 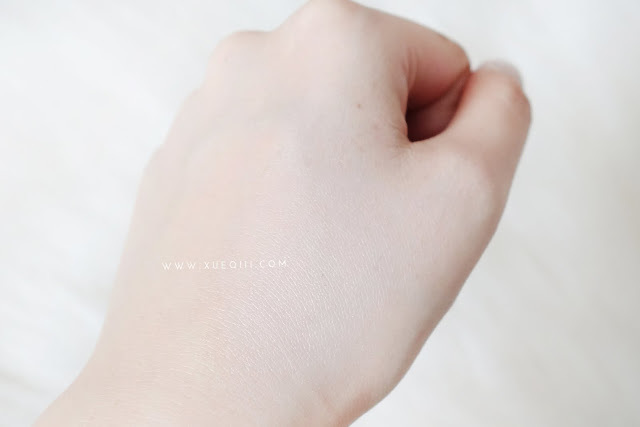 Suitable for the latest 7 step trend in Korea - where you apply 7 layers of toner or essence right after cleansing. This may be a little time consuming but I really liked how my skin felt like afterwards. If you have some time, I highly recommend doing this. 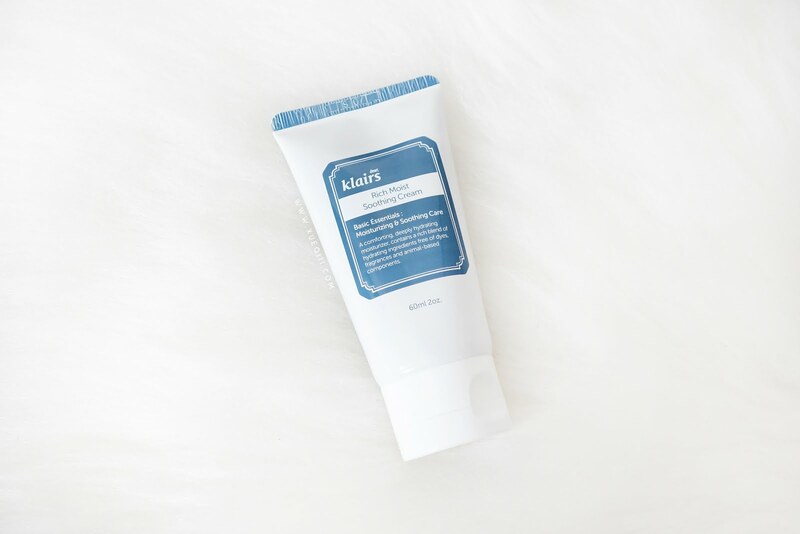 A renewed version of Klairs Soothing Cream with a new packaging. I love this squeezy tube. So much more sanitary. 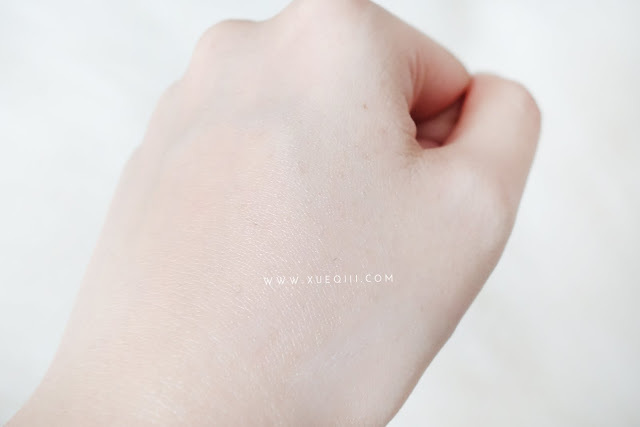 It has 20% more Shea butter, ceramide-3 and lipidure. 10ml more compare to previous packaging. This Cream claims to provide immediate, long-term moisture for a more radiant, hydrated complexion. Keep oil and water balance. It works deep within the skin to provide much needed soothing and moisture. Infused with yeast-derived beta glucan, it supports your skin’s natural moisture barrier, your skins defense system. 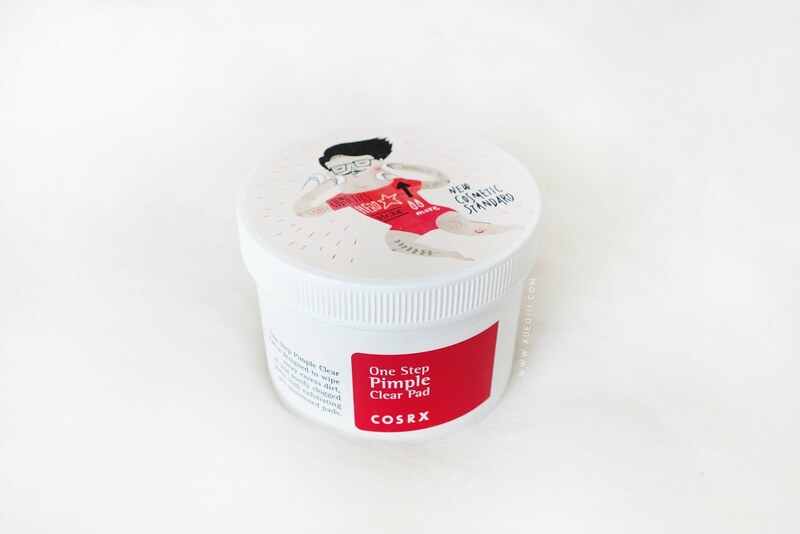 Suitable for dry, irritated and sensitive skin. I have yet to use this yet as I still have quite a few moisturisers that I am trying to finish up before starting on this. I want to use this together with their Rich Moist Soothing Serum which is on its way to me right now. This multi antioxidant serum is designed to deliver the perfect amount of vitamin C to your skin without being irritating or damaging. Made with natural ingredients and 5% of vitamin C with gentle antioxidants. Helps to tighten pore, get rid of dead skin cells and lighten scars and spots. Suitable for all skin types and it is recommended for those with sensitive skin. For sensitive skin, apply 3-4 drops onto the cheeks and massage into the skin. If your skin is extra sensitive, combine with a few drops of your favourite lotion. As you can see, this is still wrapped up. 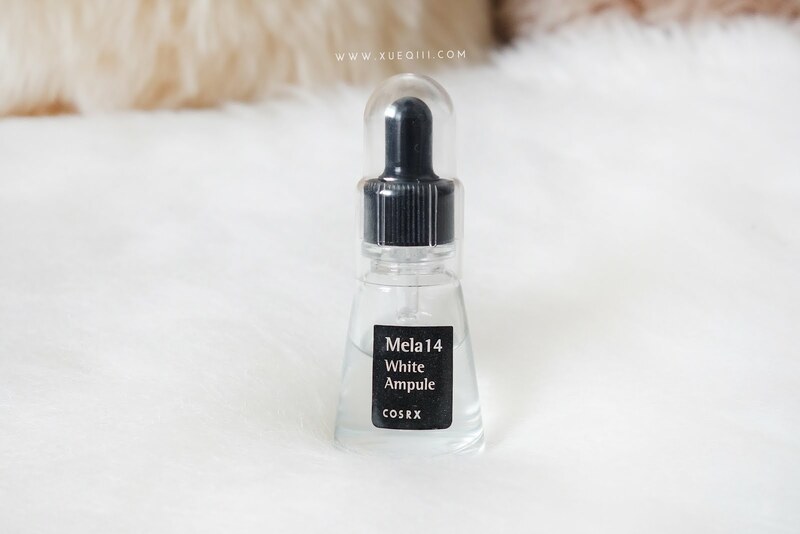 I am currently using the Cosrx Mela 14 White Ampule which also helps with lightening pigmentation. This is a fast-absorption sun screen with light-weight formulation. It contains Guaiazulene that soothes the temperature on skin texture and shield from the heat. It helps in whitening, anti-wrinkle, skin calming & hydration. Guaiazulene, which is the key ingredient of the Blue Cream, is a plant-based component extracted from camomile oil. It is effective in calming the inflammation of damaged skin tissue as well as regeneration of skin cells. The blue helps to calms and covers the reddish skin and evens out the overall skin tone. So I do look whiter immediately after applying but that's because of the blue tint. Always apply sun screen as at the last step of your skin care routine and before makeup, gently apply to the entire face. Apply at least 15 minutes prior to sun exposure. Reapply every 2 hours or as needed. My Verdict - I like how light weight this sun screen is and that it helps cover redness - go-to product if I'm heading out without makeup. 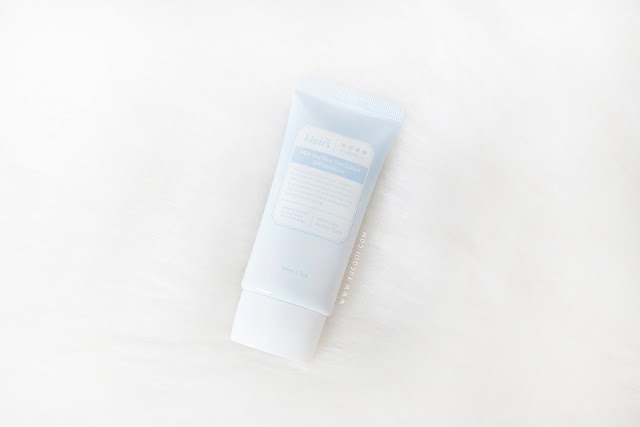 After using this, I am now very interested to try out their Midnight Blue Calming Cream. 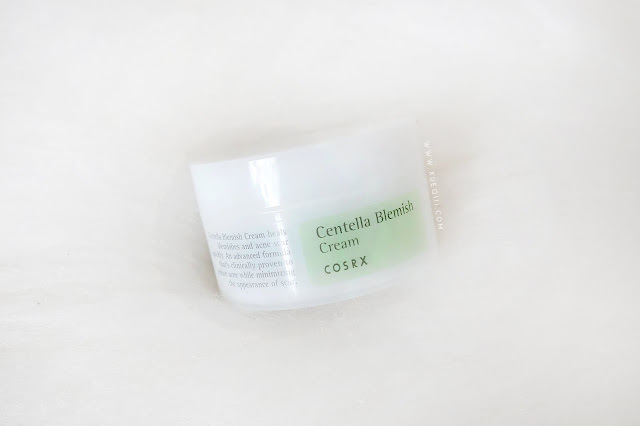 Moving on to the bulk of my Cosrx buys - from My Beauty Moments in Singapore. 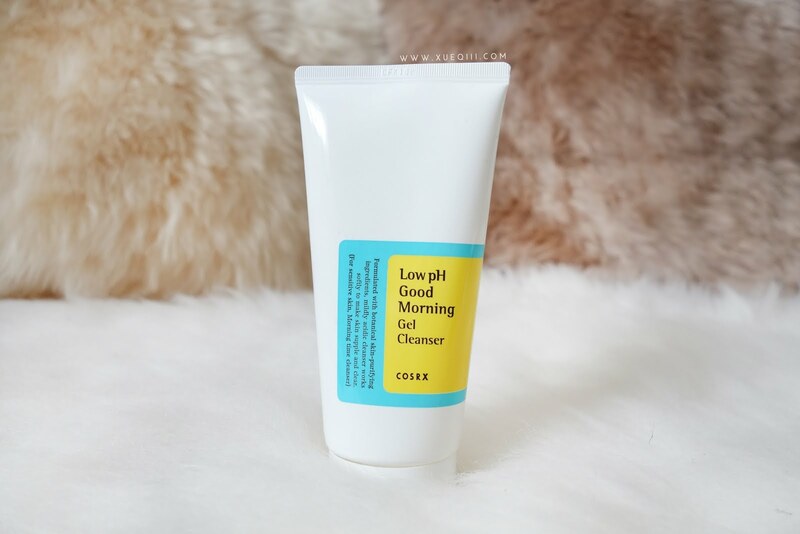 A gel cleanser with a pH of 5.0 - 6.0; which is similar to skin's natural pH level. It also smells like and contains tea-tree oil which helps with oil control and pore size. 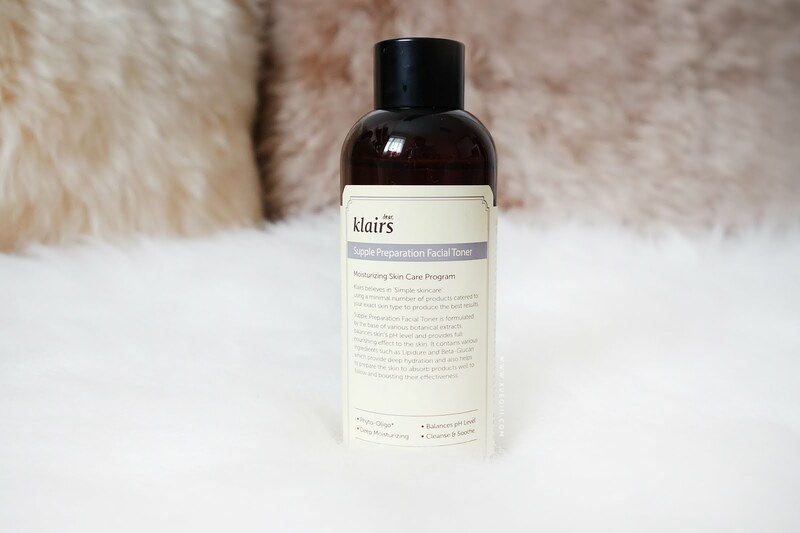 The natural BHA in this also helps with refining skin texture. My Verdict - I have been loving this a ton! I use this every morning and sometimes also at night with my Foreo Luna. It cleanse very well without stripping my skin of it's moisture or feeling tight afterwards. 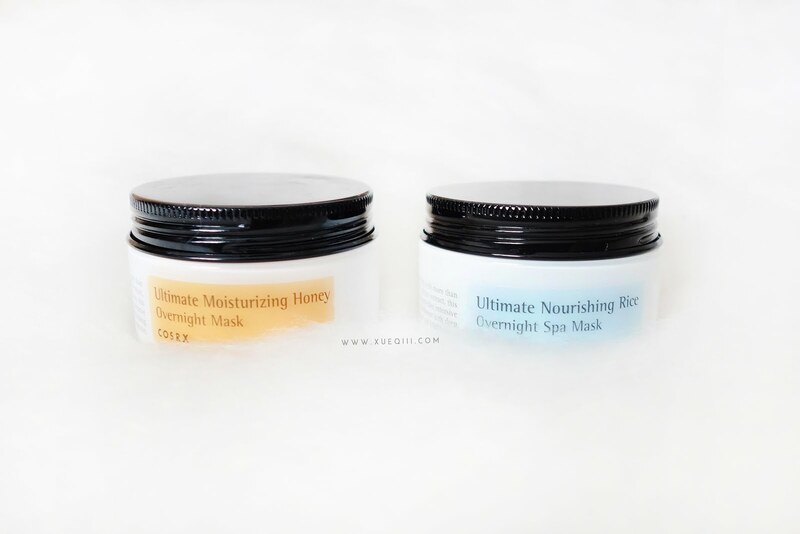 One tub contains 70 pads that provides gentle exfoliation of dead skin cells and enhances skin regeneration. Helping with acne breakouts - maintaining clear skin. This isn't too strong so sensitive skin can also use this. My Verdict - I am almost done with this and so far so good. Not say life changing product but it really helps to calm my breakouts down when I use it diligently on a daily basis - morning and night as toner. An essence containing Natural BHA, AHA and Propolis (60%) for a smoother, radiant and fresh looking skin. Suitable for those experiencing troubled skin with acne and acne scarring issue. My Verdict - I think I am almost done with this and even though I have enjoyed this. 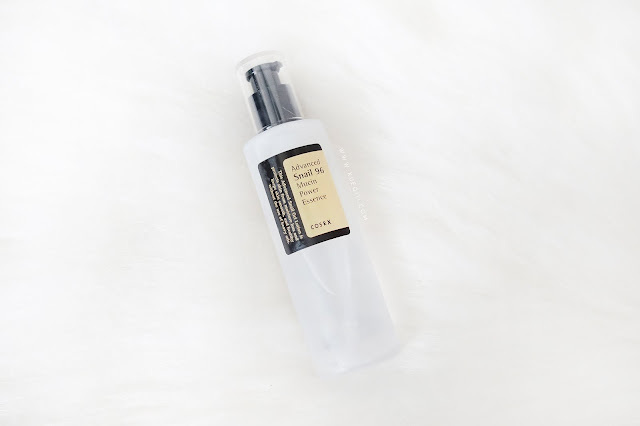 I am not sure if I will repurchase just yet as I really want to try out their AHA/BHA Clarifying Treatment Toner first. For a while, this has been the only toner that I used. If you have sensitive skin and wants a light exfoliating toner/essence, I will recommend this product. A essence containing Natural AHA and Glycolic Acid to remove dead skin and clearing pores. Helps get rid of acne and whiteheads - smoothing skin texture and tone. My Verdict - I have always enjoyed products with Glycolic Acid and this was one recommended by WishTrend to help with whiteheads. I have only used this a few times so I can't really give a review on the product yet but so far I can feel that this is really gentle on the skin and suitable even for sensitive skin users. I will have to use this more frequently to see any effect. 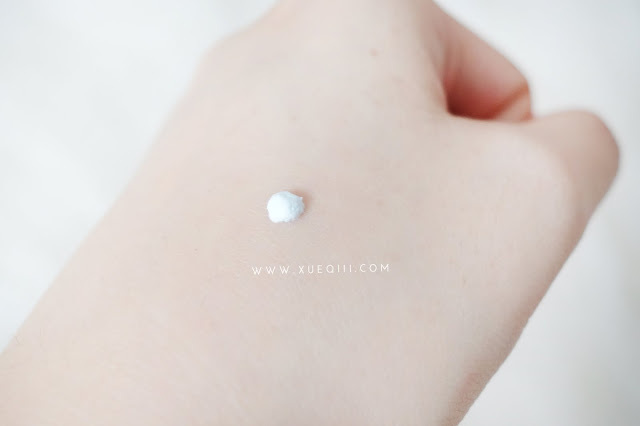 Hydrocolloid Patch that is safe and non-irritable. Help remove acne and prevent further serious breakout. I have heard great things about this patch and decided to get one. Guess what, I can't find it anywhere.... LOST. I have already ordered more and they are on their way to me. I have been using similar patches from other brands like Mentholatum's ACNES and OXY patches. 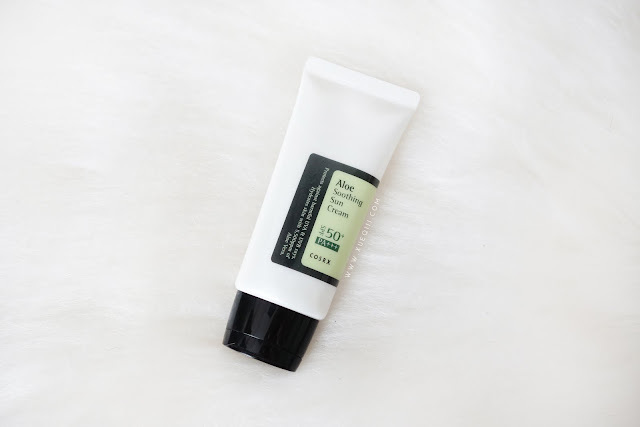 A soothing cream for acne prone skin. The Centella Asiatica Leaf water normalise the sebum production by calming down problematic area and cleaning out pores with natural ingredients. My Verdict - This has been working out really well for me in keeping my skin clam and helping soothe any new breakouts. I have heard great things about Centella and many of the top selling products in Korea contains this ingredient. 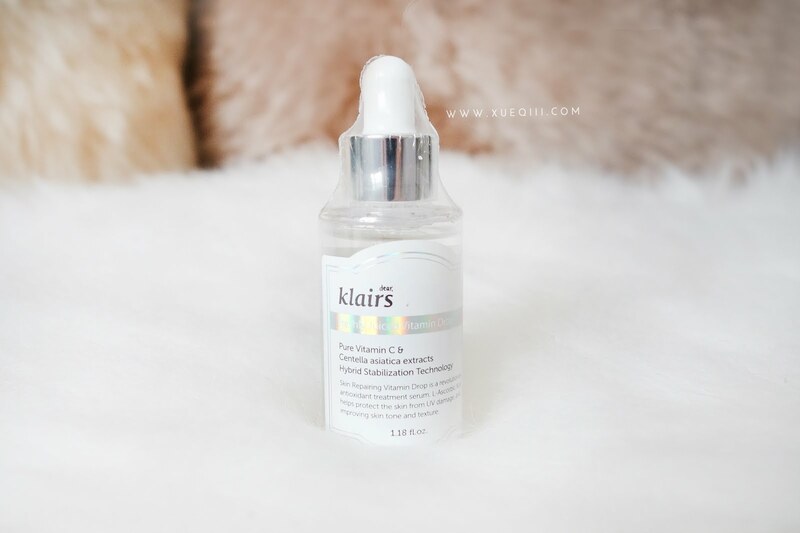 This serum contains Natural AHA/BHA ingredients that’s highly effective in skin whitening and brightening. It evens skin tone and reduce dark spots and blemishes. My Verdict - I am half way through this serum and I really like it. You won't see overnight results but I have noticed my acne scars lightening. 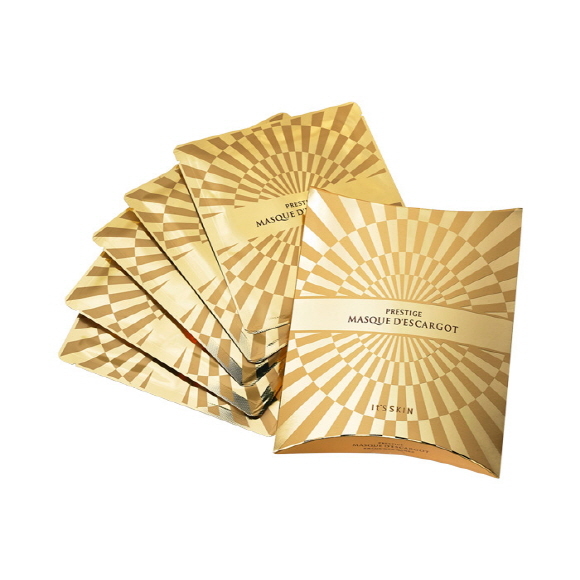 This sheet mask provides nourishment and deep moisturization for your skin. 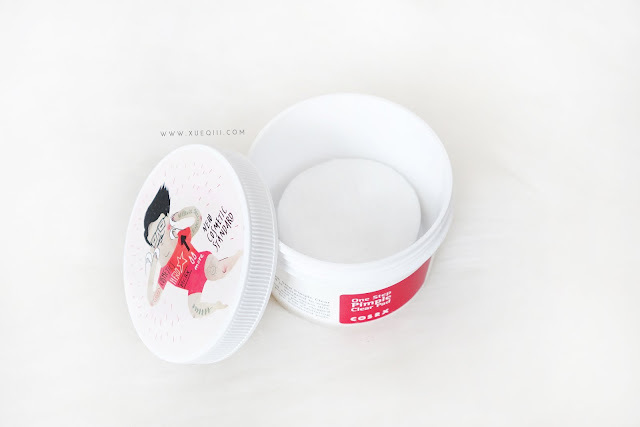 Coated with Camelia oil extract and contains Red Ginseng and Snail Mucin Essence that nourishes your skin. After cleansing, tone your skin and apply the mask for 15-20 mins. 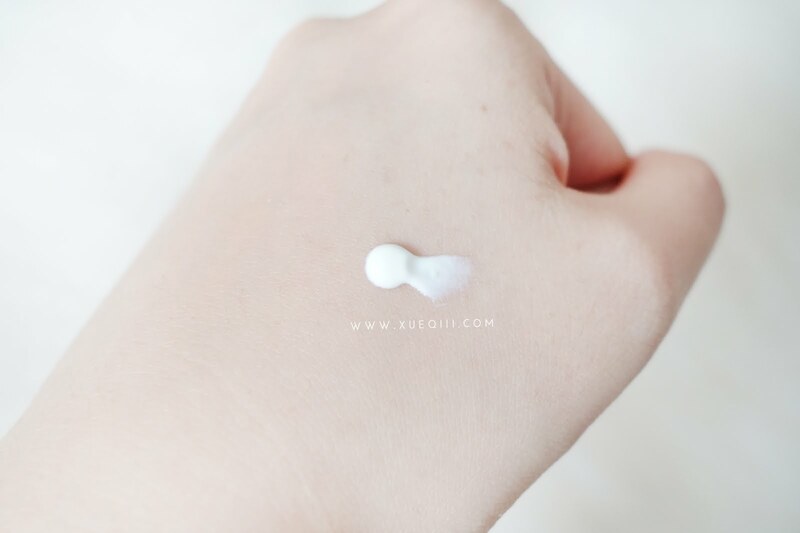 Pat extra essence in to let skin absorb. My Verdict - I am done with all 5 pieces of this mask. Really liked it! I use this when I have broken skin or break out and it really helps to calm my skin down. 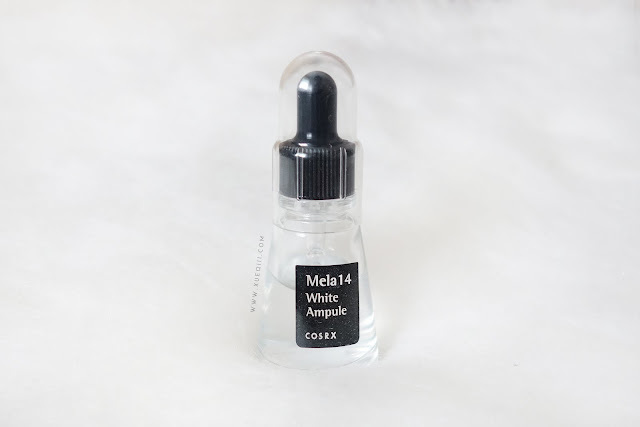 Cosrx makes really good snail products and this is a definite repurchase. 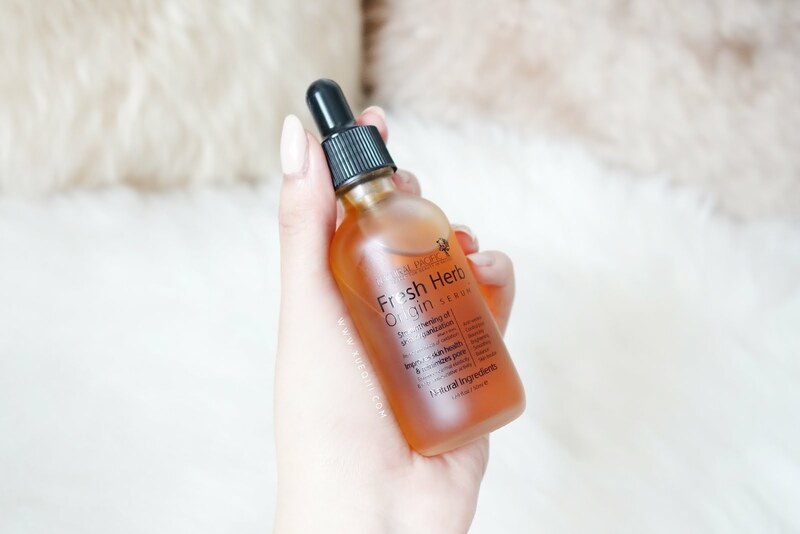 This thick and sticky essence contains 96% concentrated Snail Secretion Filtrate - helps with anti-aging and promotes skin elasticity. It moisturise, improve skin appearance by preventing and healing acne and scars/hyper-pigmentation, and protecting skin from damage. My Verdict - This is a great snail product! Not too rich and does what it claims. Whenever I picked my skin (which you shouldn't do! ), I always count on this to help my skin heal quickly. Highly recommend! This mask contains 85% Propolis - highly effective for calming troubled skin and safe remedy for puffy face in the morning. 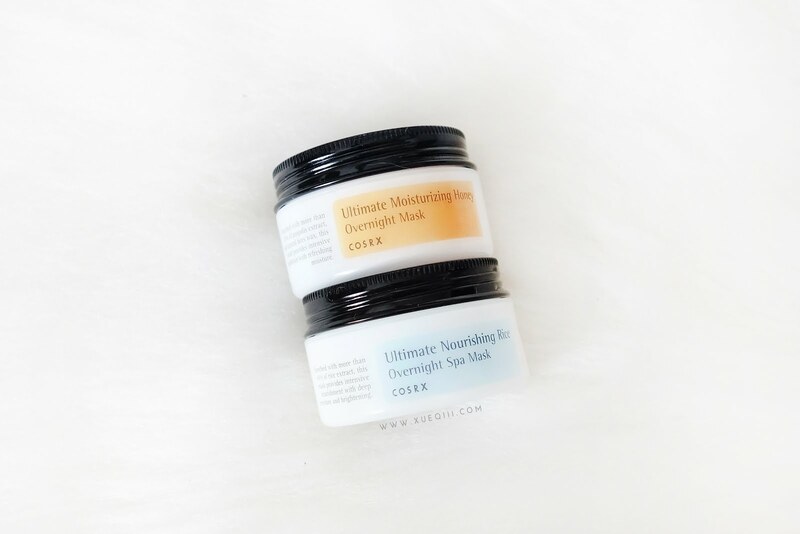 A 3-in-1 product; can be used as overnight mask, wash-off mask or face cream. My Verdict - I like applying a thick layer of this on days when my skin feels dehydrated. Sometimes I even apply this on top of my face cream as the last step for that added boost of hydration. 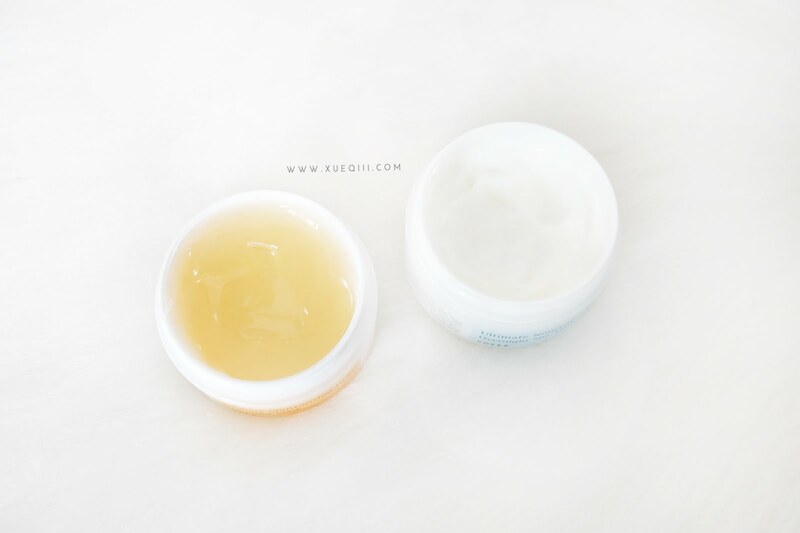 Very light weight gel texture and suitable for sensitive skin. This mask aims to refine skin texture, whiten, nourish, and give you a uniform complexion - making your skin soft and silky when you wake up in the morning. It contains numerous vitamins and minerals like Fiber, Vitamin B2, Vitamin B1, Vitamin B6, Linolenic Acid. My Verdict - This is my FAVOURITE sleeping mask! No matter what brand, this is my favourite. I have already stocked up on both the honey and rice sleeping mask in their holiday jumbo packs which comes in squeezy tubes. 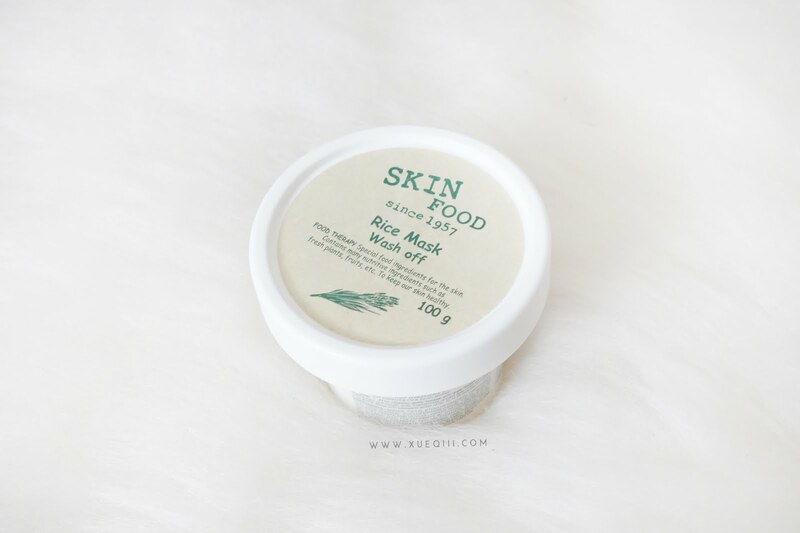 I really like how this rice mask makes my skin feels in the morning. It does what it claims and that's all I am looking for in any product. This sunscreen contains concentrated Aloe Vera (Aloe Barbadensis) 5,500ppm. Aside from providing protection from UVA and UVB, it moisturise and feels refreshing on skin. The Aloe Vera provides an added moisture barrier to calm skin and prevent future troubles. Aids in skin healing and relieving inflammation. My Verdict - This is my current go-to sun screen. It layers really well under makeup and feels so light weight and moisturizing at the same time. It does brighten my face when worn alone so I enjoy wearing this without makeup as well. Overall very good sun screen with good level of sun protection. Highly recommend. A few other products from Althea. 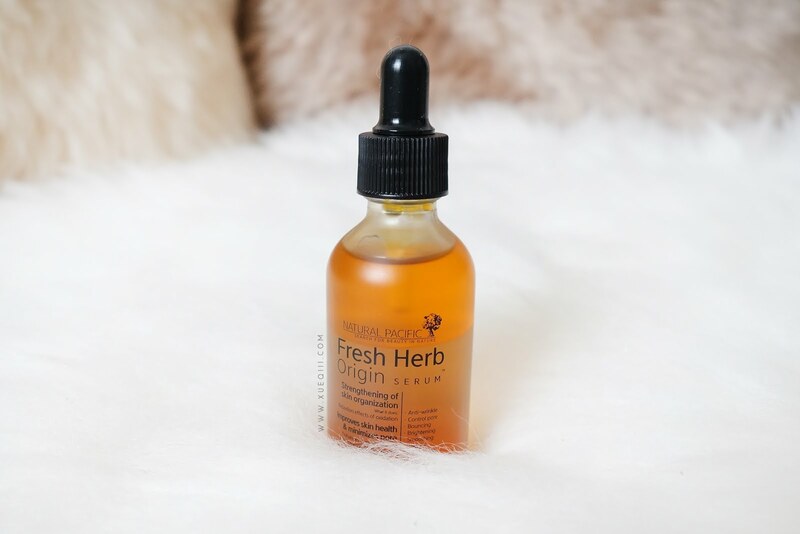 A light oil serum that contains anti-oxidation element and Rooibos. It strengthens skin organisation, improves skin health, minimise pores, soothes, brightens and treats wrinkles by promoting elasticity. Suitable for those with loosening pores, experiencing small wrinkles, with multiple skin troubles and dry skin. Shake well before use to mix the layers - oil and moisture. My Verdict - To be honest, I haven't been using this long and well enough to give any review just yet. So far so good. No breakouts from this and it feels really light weight and nourishing on my skin. If this works out well, you will be seeing this in my future favourites posts. A wash-off mask containing rice extract that moisturises skin and brightens skin tone. My Verdict - I have used this a couple of times so far and I quite like it. This is much more mild as compared to their famous Sugar mask which I LOVE! This will suit those who have sensitive skin and wants to brighten their complexion. 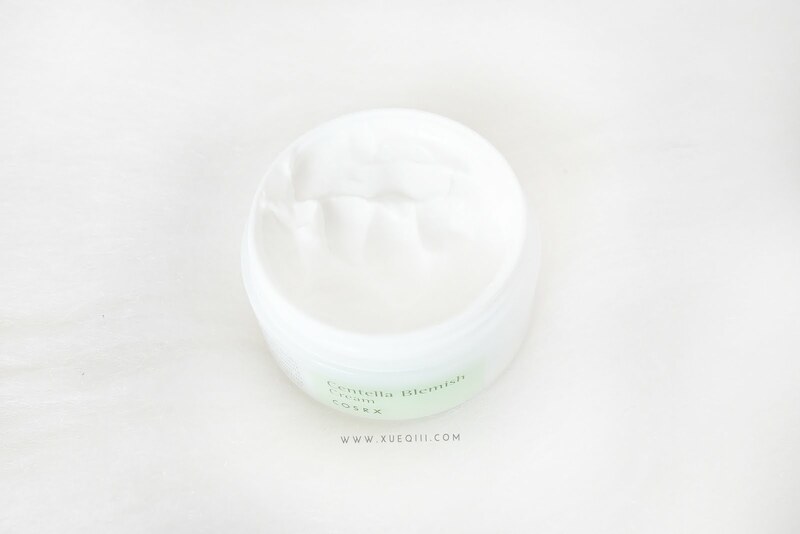 The Prestige Mask D'escargot contains snail extract, EGF that hydrates the dry and rough skin intensively and brightens and softens the skin. My Verdict - I really love Hydro-gel masks because they adheres to the skin so well and there is no messy dripping essence to deal with. However, with this mask, I'm not sure if I love it. 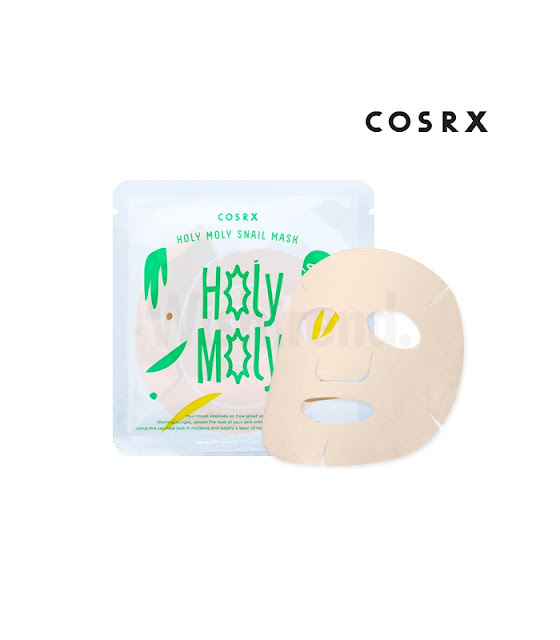 Its' not bad and considering the price for Hydro-gel masks I would think it's pretty decent. It is definitely not a life changing product for me - I might even prefer the Cosrx Snail Sheet Mask over this. Great post! I think we have the same skin type, oily but dehydrated. I've read that the best way to fix that is by drinking enough water (which I always forget to do.... yikes). I love Cosrx so I'm so happy to see a lot of it here! 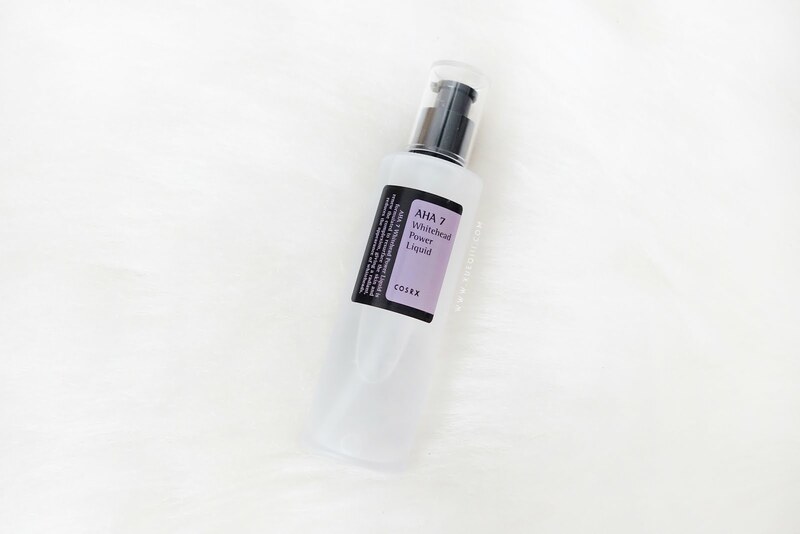 My favorite product is their BHA Blackhead Power Liquid - helped me a lot with my clogged pores. Oh my! Looks like I have to try out the BHA Blackhead Power Liquid then! Haha I actually just got their AHA/BHA Clarifying Toner which is pretty good so far. 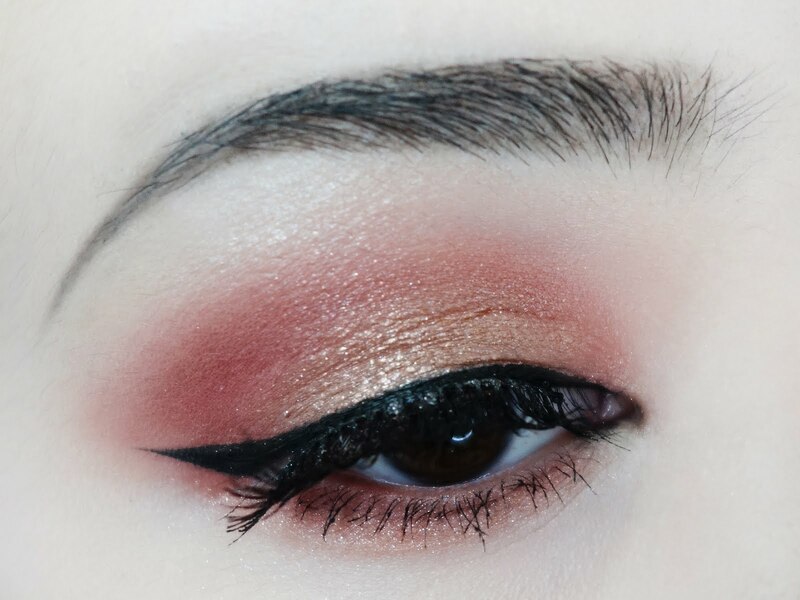 Hi, I just stumbled upon your blog while googling innisfree shadow swatches and I'm loving the look, feel and overall aesthetics of your blog!! Thank you love! Really happy that you enjoy reading my blog :) means so much to me!